The seven letter word wedding brings up the expectations and excitement of having a perfect and memorable day which celebrates your love and the future with your new life partner. South Africa is an affordable destination for Weddings based on international costs and Cape Town is one of the most beautiful, and popular places to tie the knot as a destination wedding. One of the most iconic hotels in the heart of the city, the Mount Nelson, has been hosting and planning weddings for more than 100 years. With its luxurious garden and classic ballroom-style reception rooms, all while the hotel’s banqueting team to take care of every detail of your special day, you can look forward to an elegant, stress-free wedding. Cushioned against the majestic peaks of the Twelve Apostles mountain range and looking out over the Atlantic Ocean towards Camps Bay and Lion’s Head, the backdrop from the Twelve Apostles Hotel is magnificent. The hotel has four wedding venues to choose from, with an in-house wedding coordinator at hand to assist with every need. Just around the corner from the Twelve Apostles Hotel lies Suikerbossie Restaurant in Hout Bay. 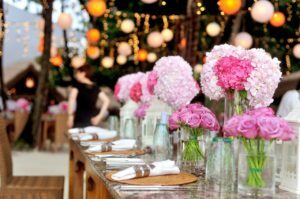 While the restaurant has two venues that cater to weddings of different sizes, their magnificent garden is also a very popular option. With it being set against the slopes of the Table Mountain National Park, this restaurant with its warm, cosy atmosphere overlooks Hout Bay valley and the famous Chapman’s Peak; creating the perfect wedding venue. Tucked away in the Glen on the slopes of Lion’s Head is the famous Roundhouse Restaurant. Previously used as the hunting lodge of Lord Charles Somerset, the more than 300-year-old venue is the perfect place to celebrate your special day. 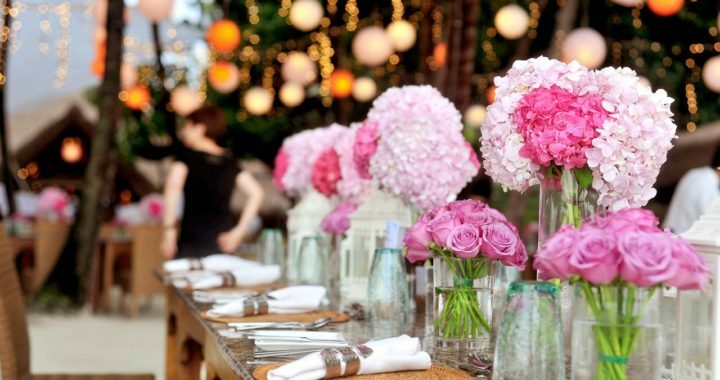 The restaurant accommodates weddings of various sizes and the events supervisor ensures that guests’ every need is catered to for wedding success. This picturesque, eco-conscious hotel & spa is located in the heart of Cape Town’s South Suburbs. With its spectacular scenery of the forested slopes of Table Mountain, the hotel provides the choice of an intimate, private ceremony to a tailor-made reception for you and your guests. This venue answers the vision of the countryside wedding and honeymoon you’re looking for. Nestled in the Durbanville Winelands, the romantic wine estate offers a 200-seater reception venue, catering services, superb live entertainment and luxurious cottages for the perfect wedding day and night. Boasting debatably one of the best locations in Cape Town, Harbour House in Kalk Bay is rather literally sitting on the ocean. Built on the breakwater and situated in the Kalk Bay Harbour, the restaurant claims incredible views of False Bay and is well known for its fantastic seafood dishes. While simultaneously has a laid-back and chic venue to host your wedding reception – ensuring your guests note the wedding a memorable one. A trendy option for your awaiting nuptials is the world-famous V&A Waterfront in the heart of Cape Town. The Dock House is a glamorous boutique hotel and spa that sees to the needs of discerning guests, while the Victoria & Alfred Hotel has an inspiring history and an impressive location on the pier. Ensuring your wedding is unique with Cape Town flair. Zewenwacht has played host to plenty of unforgettable weddings. It has two venues – The Lapa, an outdoor all-weather venue set in a wooded glade above the lake can host a maximum of 80 guests, and Alfresco, a well-equipped venue that can seat 220 guests, providing no excuses for not having enough invitations for the entire family. The beautiful, all-encompassing Vergelegen Wine Estate is drenched in history and is a Cape Town landmark. The grounds are beyond pristine and boast some of the oldest living trees in the country, which stand silent guard over the three-century-old estate. Allowing you to say your vows surrounded by these giant guardians and dance the night away underneath the stars at one of the most remarkable spots on the planet. While there are so many wonderful and magnificent wedding venues to choose from in Cape Town listing them all would be an exhausting task. If you’re planning on getting married in South Africa we encourage you to do your own research. Posted in blog, Fall in love with SA, Live In SA, Play in SA, Visit SA and tagged South Africa, Travel, visa.